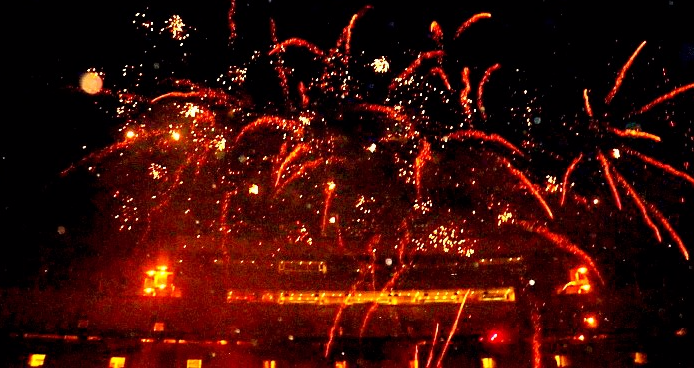 Celebrate the 4th of July at Kenan Stadium! America's Top Ten Best Towns for a July Fourth Celebration! The Town of Chapel Hill welcomes you to celebrate our nation's independence with family fun and fireworks in Kenan Stadium on Saturday, July 4th! Gates open at 7 pm. Arrive early to get a good seat and enjoy old-fashioned family fun with live music by Transit Vocal Band and a watermelon eating contest hosted by DSI Comedy Theater. Kids will enjoy face painting, inflatables, and midway-style games. Fireworks begin at 9:30 pm. For parking and Kenan Stadium gate entrance information, visit www.townofchapelhill.org/July4. For information on 4th of July events that take place in downtown Carrboro earlier in the day, visit www.carrborojuly4th.com. Carolina Square Update: Demolition on West Franklin Street!